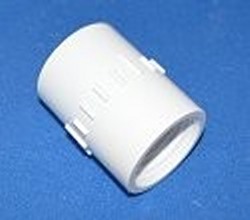 BS435-012 Female Adapter 1.25 inch BSPT x 1.25 inch slip socket. British Standard Pipe Tapered Thread Female Adapter. BSPT (Female Thread) x US Slip Socket.